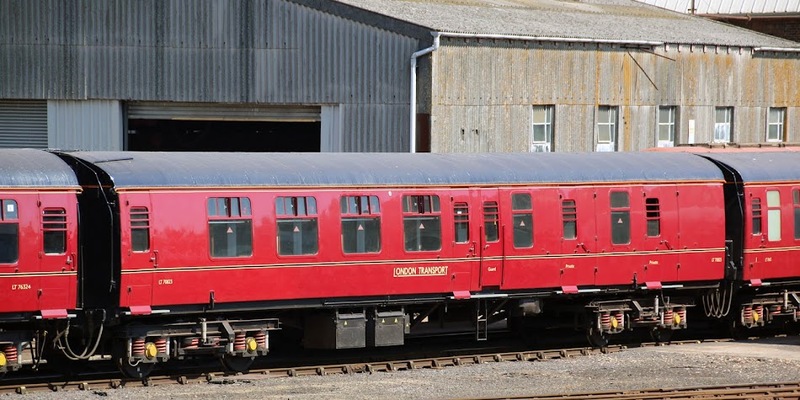 Unexpectedly at Eastleigh after problems on 20th June is the LT 4TC set. 76324 was converted in February 1967 from Mk1 TSO 4009 from Lot 30149 (Ashford / Swindon), which entered traffic in May 1956. Initially in 4TC 428, which became 8028 in June 1986. Reformed into 6REP 1903 in April 1990, then 1901 in March 1991 before sale to London Transport in February 1992. 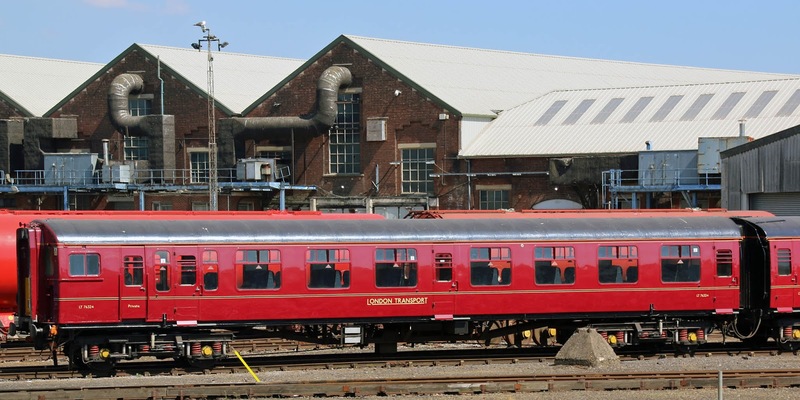 70823 was originally Mk1 BSK 34970 from Lot 30229 (Metro-Cammell) which entered traffic in February 1957. It was converted to 70823 in September 1966, joining 4TC 412, renumbered 8012 in June 1986. This coach was reformed into 8015 in August 1988 and sold to London Transport in May 1991. 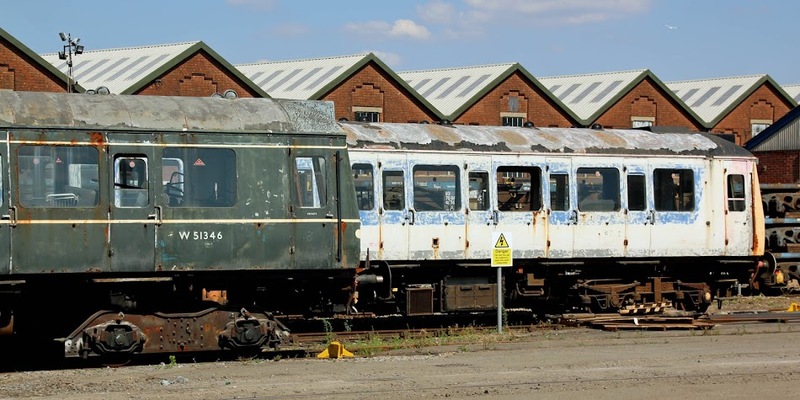 51346 and 51392 are expected to eventually be broken up. The former saw preserved usage on the North Norfolk and Swanage Railways. One half of the Geismar MPV has been moved, and can be seen in right background, and at a different height. Is this a breaking-up? 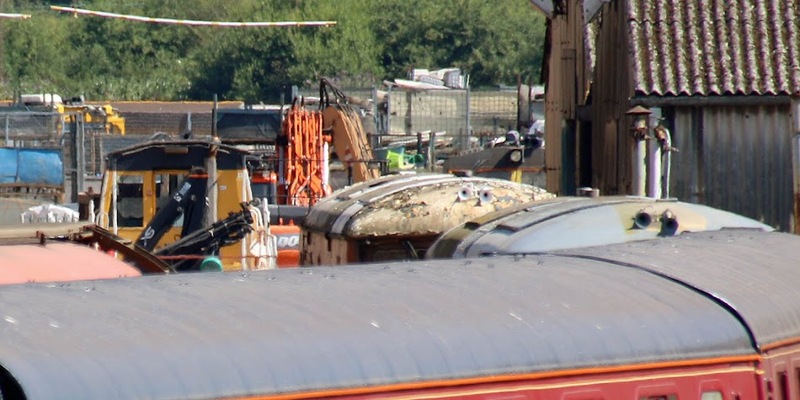 The roofs of 73101 (further) and 73139 nearer can be seen).